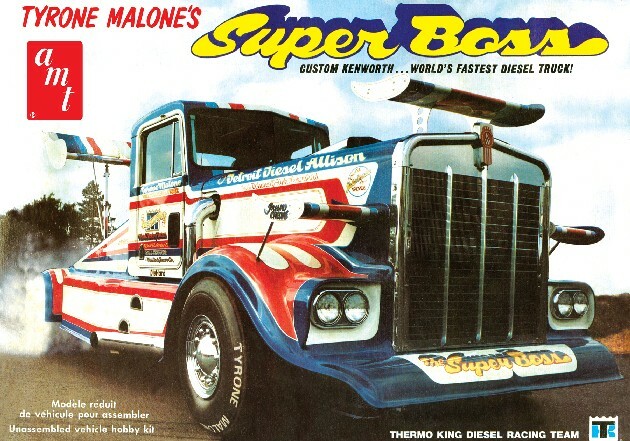 1/25TH SCALE PLASTIC MODEL KIT. 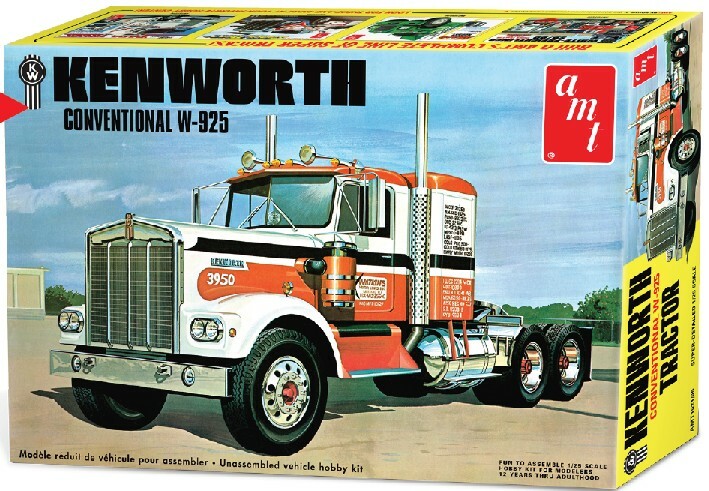 REISSUE OF THE CLASSIC 1/25TH SCALE PLASTIC MODEL KIT. 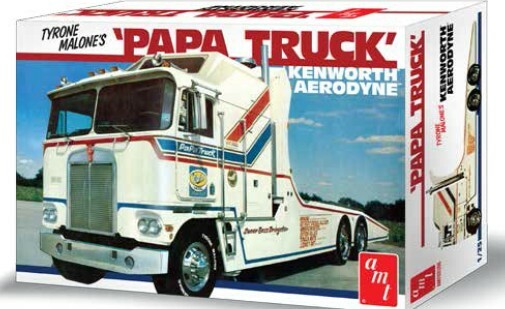 1/25TH SCALE PLASTIC KIT. REISSUE OF THE CLASSIC AMT KIT. 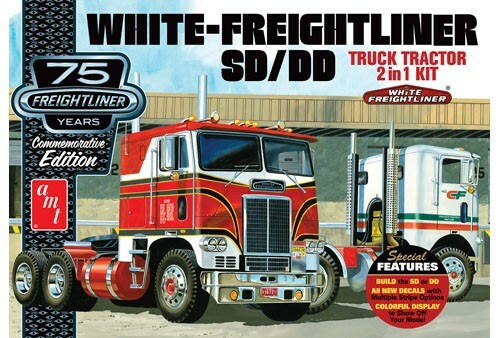 1/25 TH SCALE PLASTIC KIT. 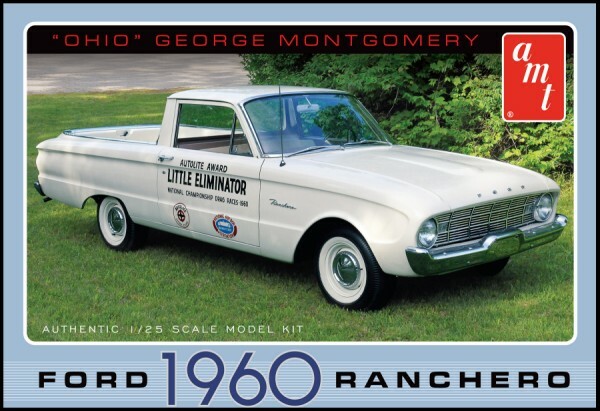 "OHIO GEORGE MONTGOMERY'S DRAG CAR"
THIS WOULD MAKE A GREAT SHOP TRUCK FOR YOUR FLEET! 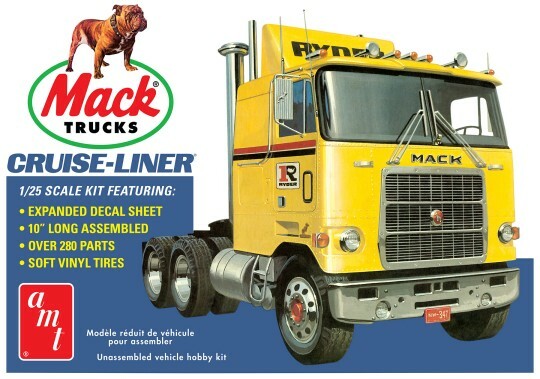 REISSUE OF THE CLASSIC KIT, INCLUDES WATKINS TRUCK LINES DECALS. 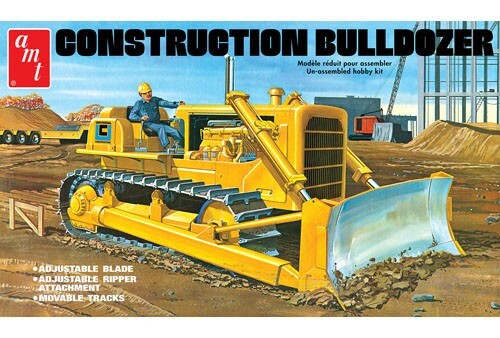 2 IN ONE KIT, OFFERS THE ABILITY TO BUILD 4 COMBINATIONS. 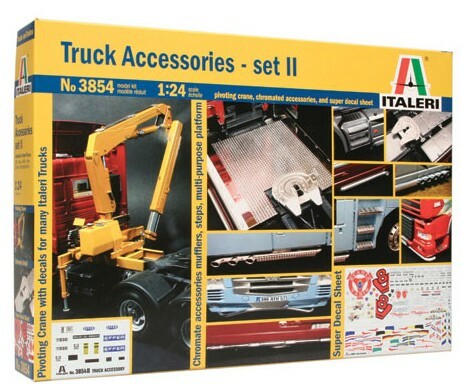 1/24TH SCALE PLASTIC ACCESSORY KIT, INCLUDES A KNUCKLE BOOM STYLE FRAME MOUNTED CRANE. PLASTIC KIT BY MOEIBUS MODELS. 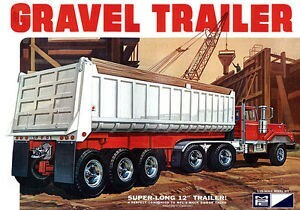 53' BOX TRAILER MODELED AFTER CURRENT TRAILERS. 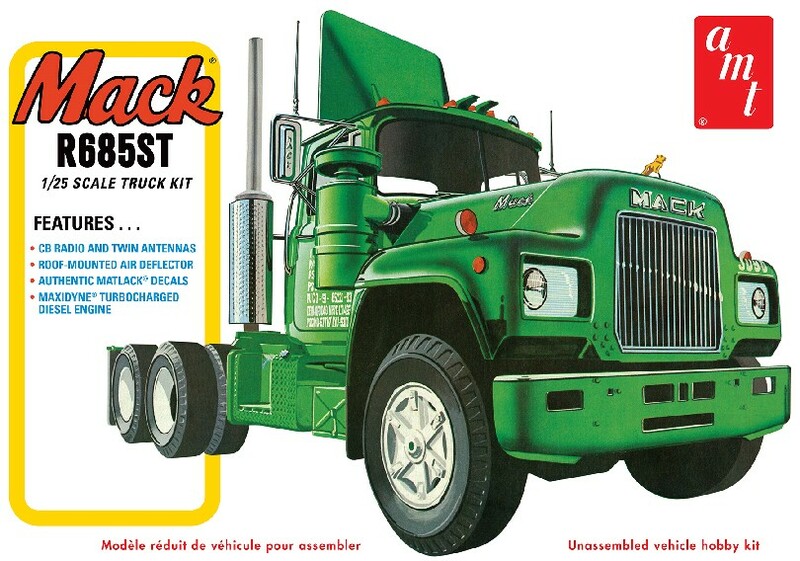 PLASTIC MODEL KIT BY MPC. NEW PRODUCTION RUN OF THE CLASSIC MPC KIT. 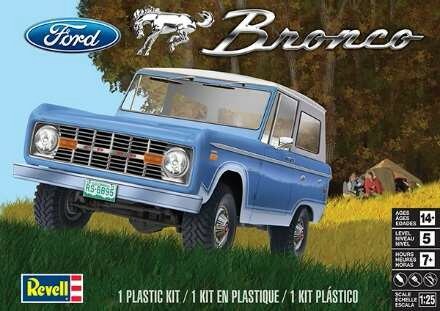 PLASTIC MODEL KIT BY MOEBIUS MODELS. 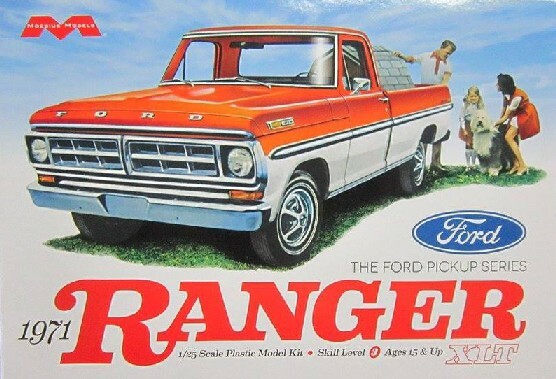 NICE PICKUP TRUCK TO COMPLIMENT YOUR BIG RIGS. 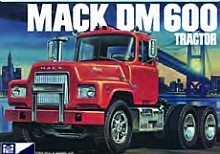 COMPANY TRUCK, DAILY DRIVER OR CONSTRUCTION SITE TRUCK. THIS IS A NEW RUN OF THE CLASSIC MPC KIT FEATURING CLASSIC BOX ART AND DECAL SHEET.